TeachersFirst is hosting a winter book study this year. This is our way to invite you to actively participate in our professional learning community made up of learners who are teachers. 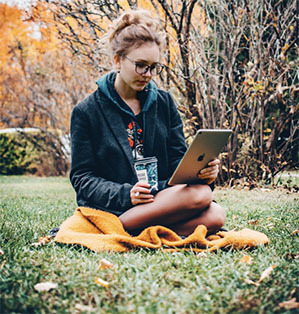 Our virtual book study is a great way to do professional learning that you might not have tried before or thought of doing outside of your school. Of course, when trying something new, it’s always great to have some friends to try it along with. If you are thinking about joining the book study this winter, get in touch with some colleagues - who are TeachersFirst members - and ask them to join as well. 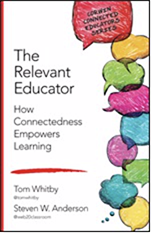 The Book: ​The book we will be reading is The Relevant Educator: How Connectedness Empowers Learning by Tom Whitby and Steven W. Anderson. The book is chock full of great ideas on simple tools educators can use to get connected - and why it's important to use them. The Source for Learning will reimburse you for the purchase of your eBook. We are limited to 40 participants so ​sign up soon​. About the Book Study: Participants will be invited to join our online conversation space hosted in Microsoft Teams. Each week participants will be expected to read a few book chapters, join in a conversation about them, and complete an application exercise. 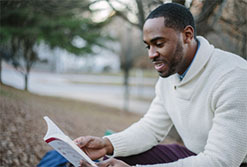 Participants should plan on spending 3 hours a week on the required reading and activities. Participant Eligibility Criteria: TeachersFirst book studies are a member benefit. In order to participate in the book study you must be a TeachersFirst member (​see how to register for FREE membership​) and you must have participated in an ​OK2Ask​ webinar between January 1, 2018 and December 31, 2018. January 8: Kick-off webinar at 7PM Eastern Time. We will discuss the organization of the book study and participant expectations. Throughout January: Reading, discussion, and application will continue a few chapters at a time each week with formal discussions ending on February 4. February 19: Closing webinar including a discussion about how our perspectives may have changed. Join conversations about the effectiveness of social media for education. Discover ideas and tools you can use to develop a PLN (Personal Learning Network) using social media. Learn about forums for exchanging ideas with other educators. Share your thoughts with other book study participants. Tell colleagues how your reading influences your views on information sharing and reflection. Build your willingness to try a new approach to finding out “what works” for your students. Discover inspirational points from the book that affect your perspective on technology implementation. Participants who complete all of the book study components will receive a certificate for 15 hours of professional development. SIGN UP HERE​ - ​Participation is limited to the first 40 eligible TeachersFirst members who sign up.